Tag Type: 1/8 in. Thick Microsurfaced Acrylic, Color on ONE Side. Back is same color as lettering. 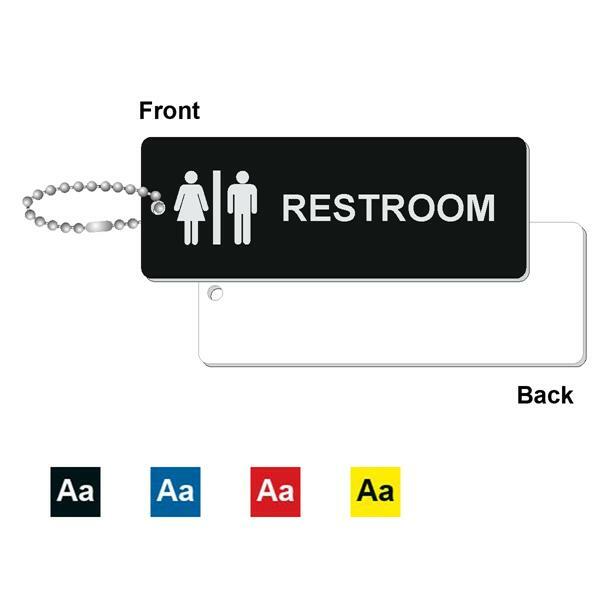 Our Standard Size Rectangle Restroom Key Tags are made in the USA of indestructible 1/8” thick ABS plastic with a durable Acrylic Cap (top color). The Semi-Gloss finish is attractive and simple to clean. Unlike other manufacturers, we DO NOT use inferior styrene. A Medium Sized, sturdy plastic key tag for your bathroom and restroom keys. Helps to prevent the keys to the Rest Room from 'walking away' !.